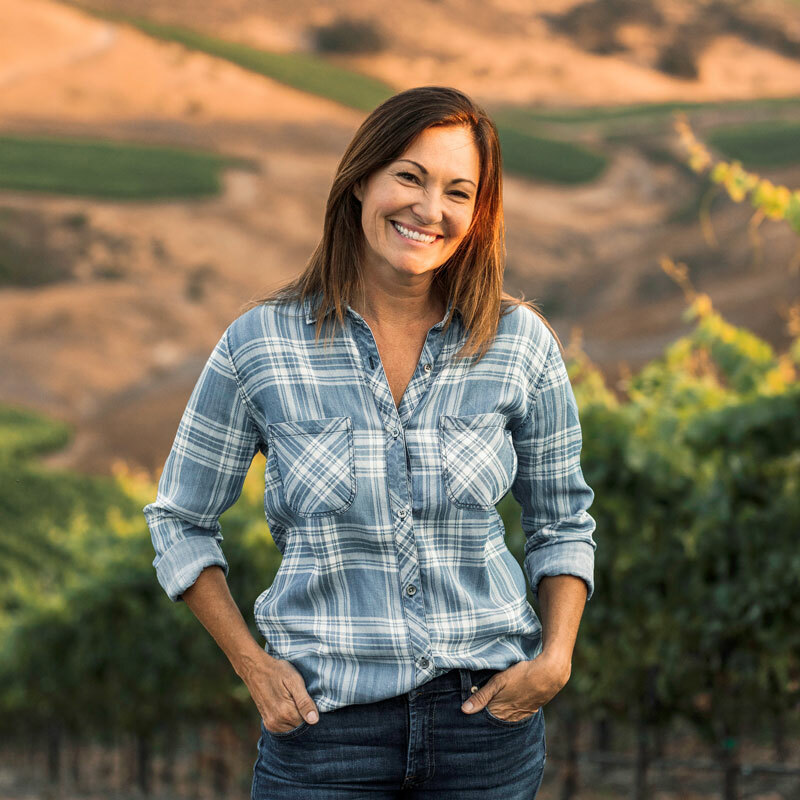 Raised in the Santa Ynez Valley during the beginning of the wine industry there, Dana graduated from Cal Poly, San Luis Obispo in 1996 with a degree in nutrition and food science. She then started her career in winemaking by interning at nearby Edna Valley Vineyard. A passion for travel and adventure led her to an opportunity to work in Argentina for a year where she helped to establish the Tapiz Winery. Next, Carmenet Winery in the mountains of Sonoma beckoned which eventually led her to Kendall-Jackson Winery in Santa Rosa where she worked for several years in various production roles while earning her MBA. Then life happened — marriage, children, a move to Hong Kong where she traveled throughout Asia doing charity work. In 2011 life came full circle and she returned to her hometown of Santa Ynez Valley and became the assistant winemaker at Bridlewood Winery and later Byron Winery. Yet as a mother of two young children, it proved difficult to work “normal” hours and commute to work. Thus the inspiration for D.Volk Wines was born with her first ton of Pinot Noir grapes purchased from Duvarita Vineyard. The rest is recent history! Check us out in the Santa Barbara Independent: February 7, 2019 issue! Read more about us and other Garagistes in the Food and Drink section. And we won the Bronze medal for the D.Volk Wines Duvarita Vineyard Pinot Noir. You’ll enjoy our beachy tasting room where you can sip wine inside or outside on the patio, as mentioned in the Fall 2018 issue of Santa Barbara Magazine. We are also a family friendly tasting room as seen in their Special July 31st issue.